A piece of nitinol wire that you can bend into whatever shape you please. However when you heat it, the wire returns to its pre-set shape - a large paperclip. The Nitinol wire is 1.0 mm thick, and the paperclip is 5 cm in length (and about 15 cm long when you unfold it). 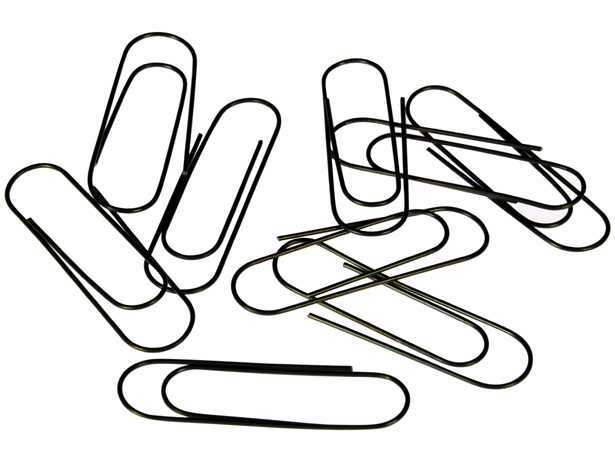 Made from a NiTiCu (Nickel-Titanium-Copper) alloy, with an activation temperature of 65 degrees Centigrade, the NiTiCu version of the paperclip is easier to bend and deform when it is cold, there is almost no two way memory effect even after many deformation cycles, and it has a better cyclic stability. However it has a higher activation temperature of 65 degrees Centigrade. Pack contains one paperclip, plus instruction leaflet.